Most readers probably won't be able to identify everyone in the pictures. 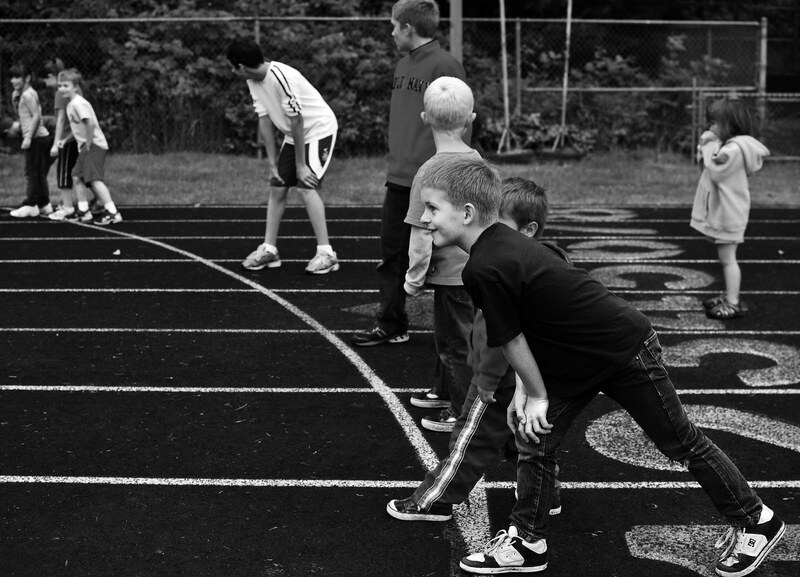 I spy Galen Rupp, Chris Solinsky, Mary Decker Slaney and Zola Budd, Steve Prefontaine... Could you please add a comment listing who's who? Thank you! Interesting... 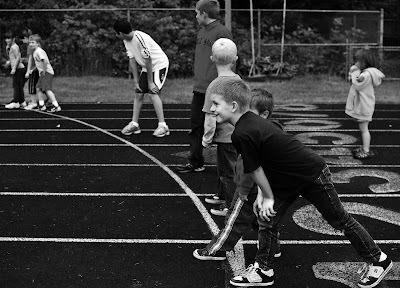 Kid picture: Which event? I presume that's Roger Bannister in the black and white photo. 2) John Walker, Steve Ovett, Jurgen Straub, Abderahmane Morceli and Steve Scott at the 1977 World Cup. 3) This is the famous Kamariny track in Iten, Kenya. 4) Shalane Flanagan, after winning Bronze in the 10,000m in the Beijing Olympics. 6) Men's steeplechase finals, Beijing Olympics. 7) Galen Rupp at Hayward Field. 8) Random college runners at an indoor meet. 9) Some kids creating glory days. 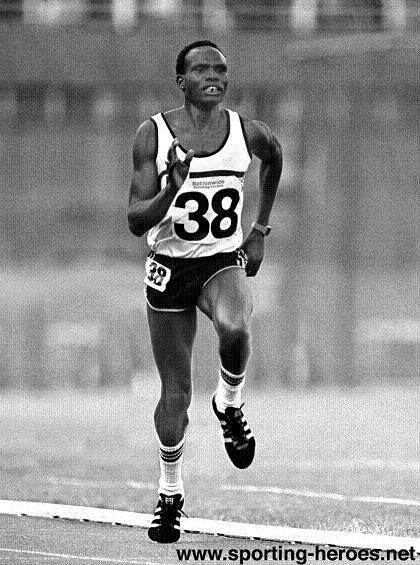 10) 800m champion Maria Mutola. 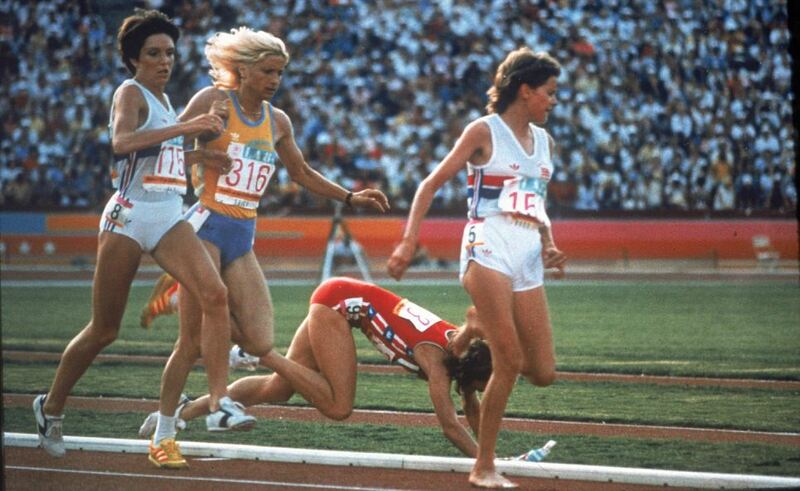 13) Zola Budd in her infamous crash with Mary Slaney. 14) The bumblebee, Chris Solinsky. 16) Yep, that's Banister breaking 4 minutes. 17) The great Ed Whitlock. 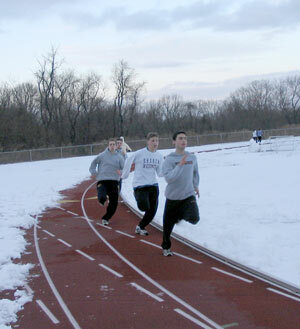 Love the picture of running on the snow covered track. brings back memories. That's air under Ed's feet, incredible..